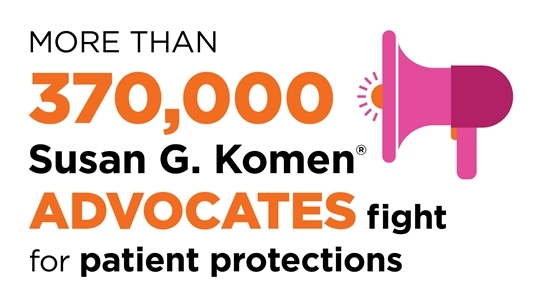 Stay in-the-know about current legislative and advocacy actions by becoming an advocate. I f you are passionate about ending breast cancer and have an interest in scientific research, we welcome you to join us. 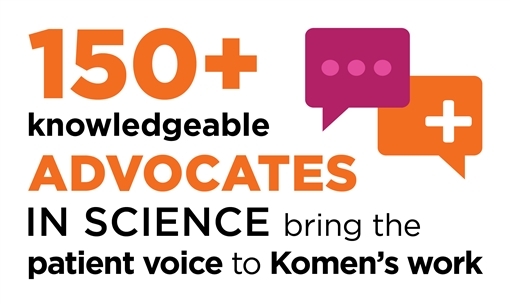 Komen’s research advocates, or Advocates In Science may be men or women, laypersons or healthcare professionals, Komen Affiliate members, or individuals involved in advocacy with other breast cancer organizations.